I love decorating. When I got my own apartment I was so excited to let my inner Joanna Gaines shine. I started off with the living room and worked my way through each room (I was most excited about this one.) I really wanted to let my personality shine through in this room because I consider it my little 'getaway'. I didn't/still don't have a big budget for decorating because I'm a college student, and let's be real what college student actually has money? (lol... help) Everything I purchased was under $100 and mostly all from Target. Besides my chair which was actually a diy project that I made for no more than $70. How I made it: I purchased an old desk chair from an online yard sale site in my area for $20. I bought gold spray paint ($3) and made sure to cover up the cushion part with a trash bag. Even though it was getting covered with fabric, I didn't want it drenched with spray paint. 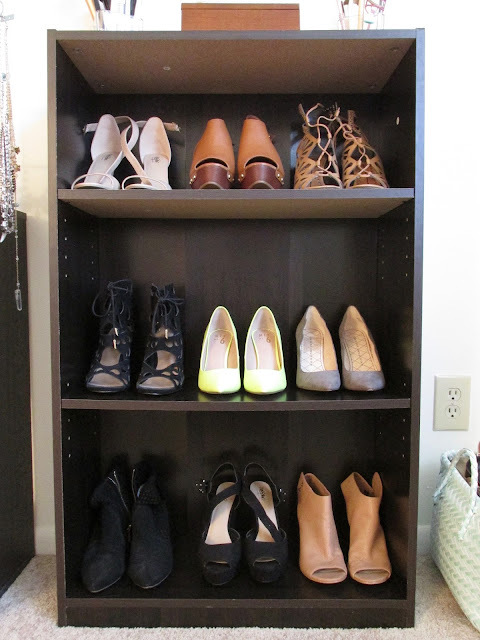 To avoid clumps and unevenness, I applied one coat every 35-40 minutes. I believe I repeated this process four times. I than let it sit to dry overnight. 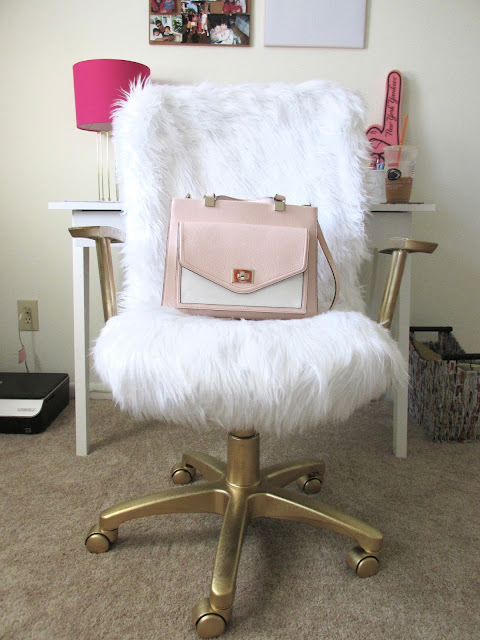 The next day I purchased faux fur fabric from Joann Fabrics and applied it to the chair. For the cushion part I applied the fur with staples and pins (I purchased the pins at Walmart for $2.) It was a very easy process! For the back part of the chair I cut two pieces of fabric (both the same size) and turned them both upside down and sewed them together, leaving an open space at the bottom to turn it to the correct side. This process took FOREVER since I didn't have a sewing machine, so if you do have one, this should take you about 5 minutes. If not, set aside a few hours for this. The process was so worth it though and I'm beyond happy with the results. $70 for a chic desk chair is way better than $100-200. 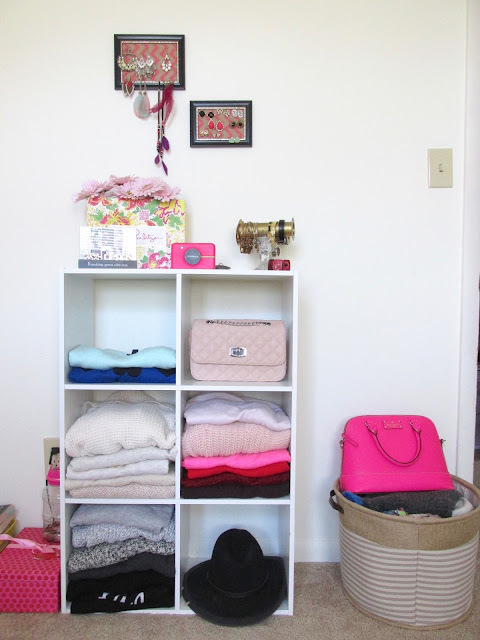 The rest of this room consists of accessories and beauty products. Later down the road, I might work on painting over my brown shelves to match the rest of the color scheme, but for now, it works. I love having a space like this that I can call my own and gives me inspiration when I work on my blog. 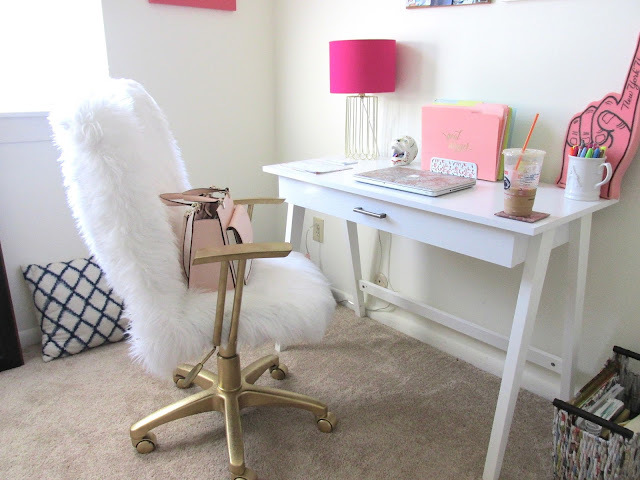 Shop This Post: Desk (Comes in 4 colors and is under $100! 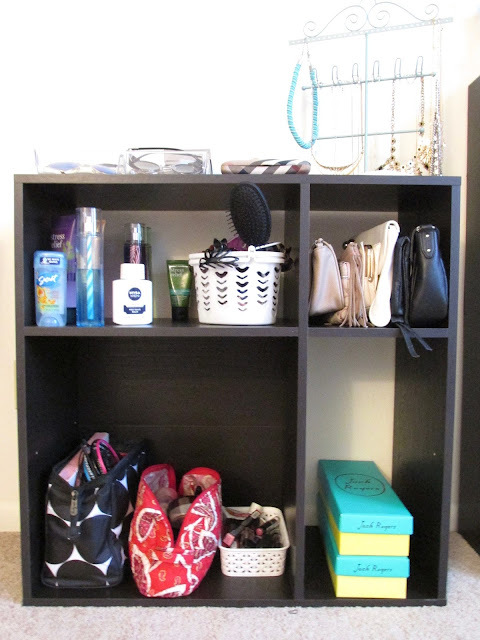 ), Lamp (Couldn't find exact one, linked a personal favorite), Folders, Shelves (All of my shelves are from Target).